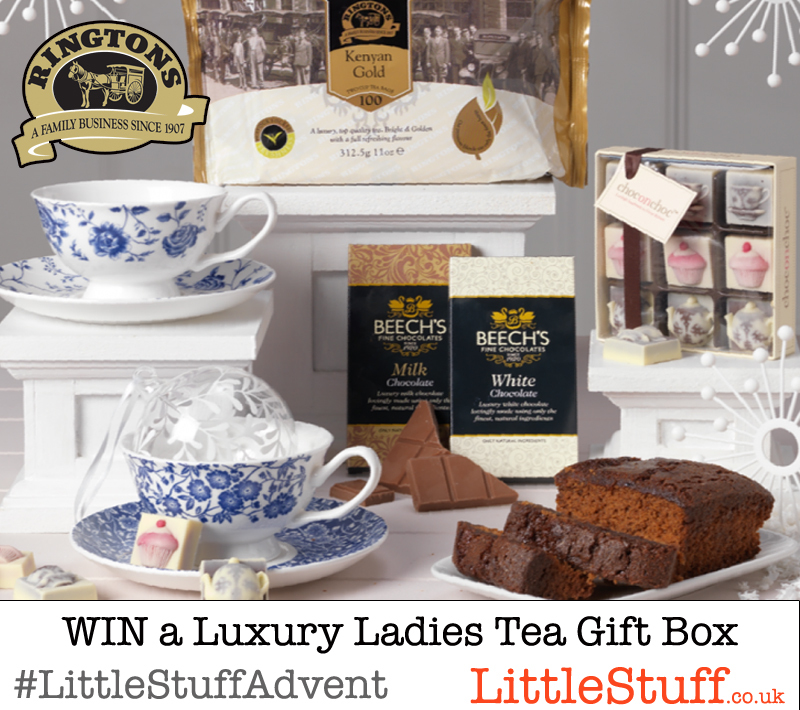 Your chance to win the gorgeous Luxury Ladies Tea Gift Box, courtesy of Ringtons closes tomorrow! This luxury gift box is the perfect accompaniment for the ultimate tea party for two! Includes: 100 Ringtons Kenyan Gold tea bags, Ringtons Ginger Cake, 60g bar of Beech’s White Chocolate, 60g bar of Beech’s Milk Chocolate and a box of Tea Party design chocolates. No tea party would be complete without a gorgeous cup and saucert and this gift box won’t disappoint as it contains a set of two fine bone china cups and saucers in a pretty blue floral chintz design. Comes in a Ringtons luxury two-piece gift box. To enter this competition, please answer the first three questions in the Rafflecopter box below. You will then be able to generate more entries by completing the other, optional, entry options. The closing date for this competition is 24th January 2015 and only entries received on or before that date can be included. The winner will be the first entry, chosen randomly, with the correct answer. Good luck!